Microlab FC 530U On the front panel of the subwoofer there is an optional USB interface for connecting external memory storage. 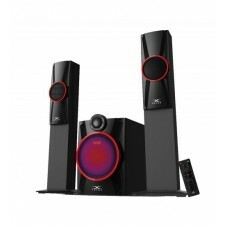 Speaker system automatically recognizes and plays back audio files from the USB stick. Also on the front panel of the subwoofer there is a slot for SD cards. 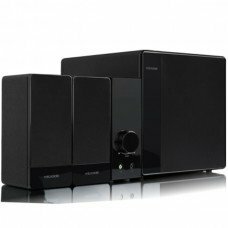 Speaker system automatically recognizes and plays back audio files from your memory card. 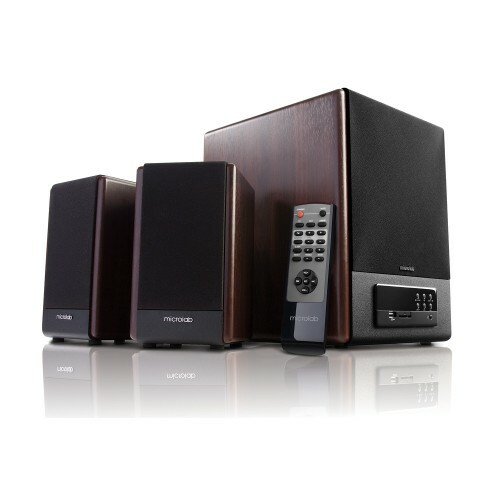 It has Powerful 2.1 subwoofer system with full range acoustic production and cabinet satellites in all wood finish 2.Unique user friendly design with support for instant digital music playback and FM radio. 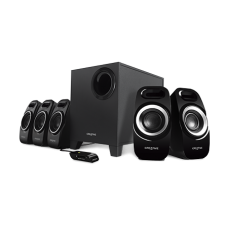 it' has also 5.25" woofer system for deep vocal and bass effects. 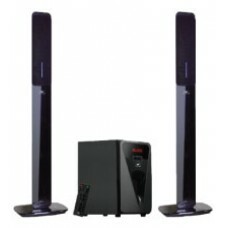 All magnetically shielded.Amplifier unit with full front controls and includes remote control.